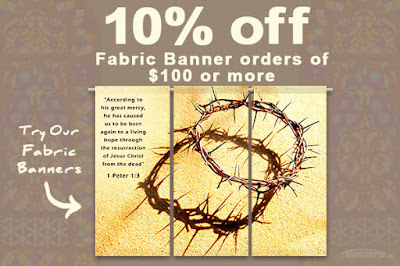 Order Custom Fabric Banners Online! Fabric banners are printed using a direct dye sublimation printing process, so the colors turn out bright and vibrant. 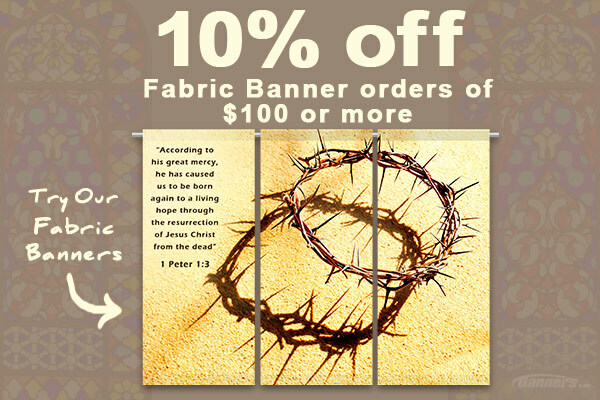 Mention promo code "Lent2016" to get 10% off your fabric banner order of $100 or more. Hurry, this offer is only valid through January 20, 2016. Visit our website to get started on your order.